A bold bush with large white flowers and thick fragrant leaves grows abundantly along Old Railroad Grade. 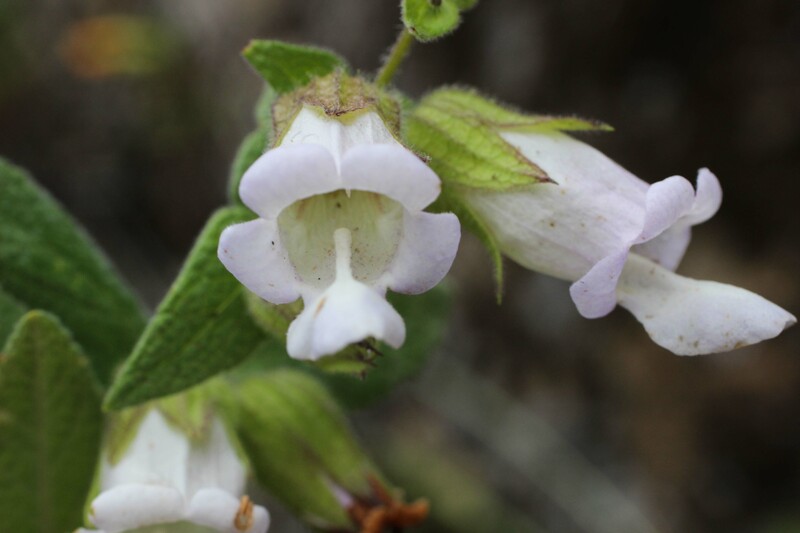 This is pitcher sage (Lepechinia calycina), likely named for its vessel-shaped flowers. Each large bloom is an inch or so long, and its lower lip protrudes out from the flower like a landing pad for pollinators. As it moves inward, this lip puckers into a distinctive ridge. The serrated, pungent leaves are large and thick with a wooly feel. Unlike other species of native sage, Lepechinia is in the mint family. It was used medicinally by indigenous Californians to treat fever and headache, but despite the strong smell of its leaves I haven’t found any reference that it was used for cooking. Neither is there any mention of it being poisonous. 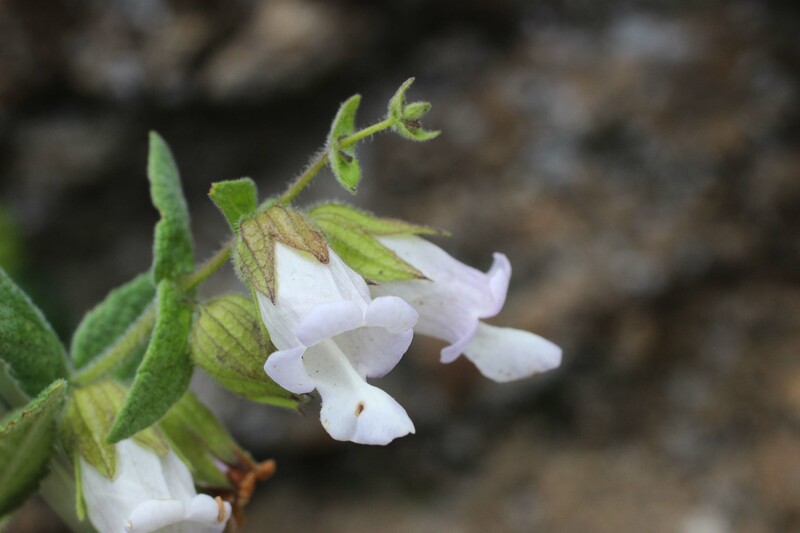 It is endemic to California, found from Lake to Ventura counties.